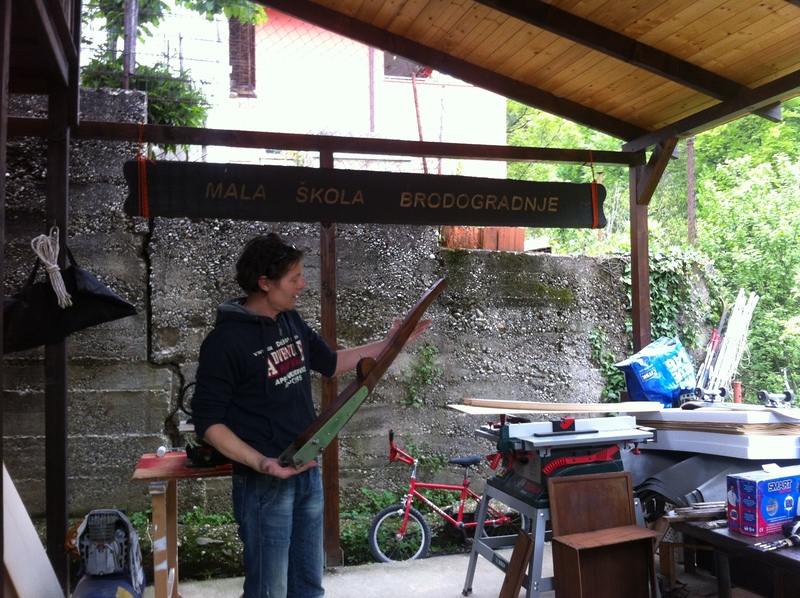 The first time I checked the boat it was good to see that the original tiller made of solid teak was still there, so I took it off and brought it to my friend Davor for restoration. 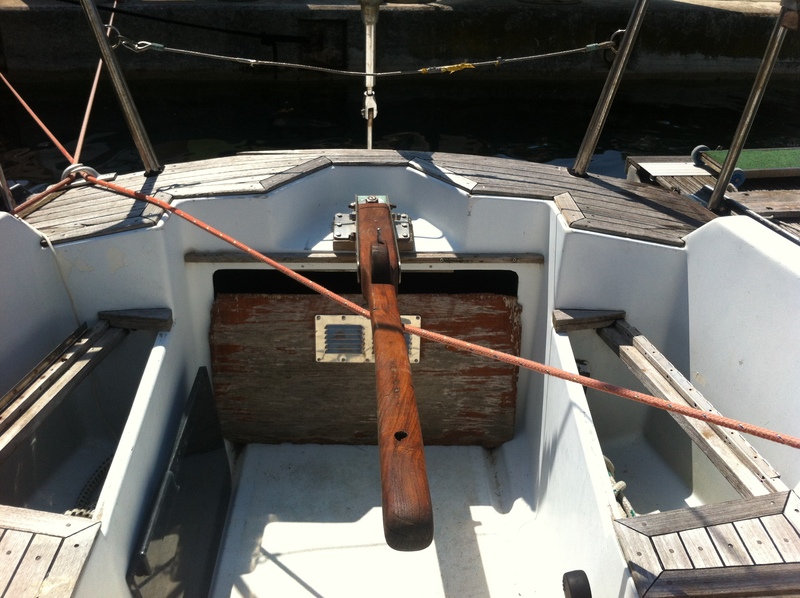 Davor who is a great guy and runs a boatbuilding school for kids repaired a few holes, cleaned it and put some teak oil… and it looked great!! THANK’S Davor!! !